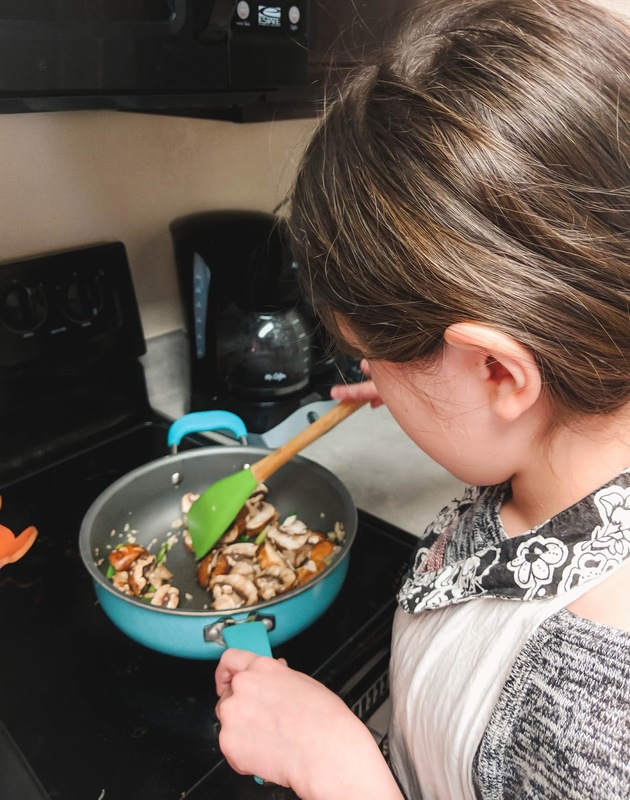 Haley has always taken an interest in cooking with me. 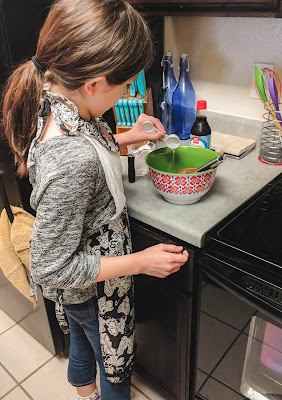 She loves watching the kids cooking shows, and is constantly asking to help me in the kitchen. And by asking to help me, I mean begging to let me just let her do her own thing with dinner. While I have let her do most of the cooking before, I have never let her take full control. Such as cutting up the chicken, etc. Because, you know, salmonella. However, after many long conversations about kitchen safety and sanitation, I decided to let her have at it (with full supervision, of course...because, salmonella). 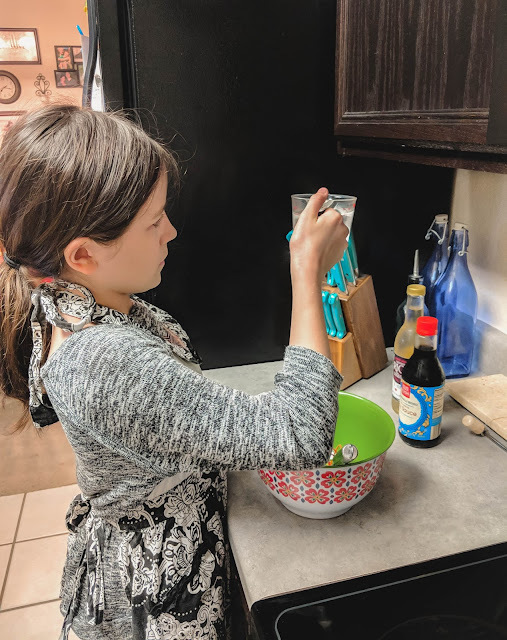 She found her own recipe and everything. Look at those knife skills! She took it very seriously and did a wonderful job! In fact, it's probably only a matter of time before she takes over this blog! Although I may or may not have followed her around the kitchen with a spray bottle. Don't judge me. 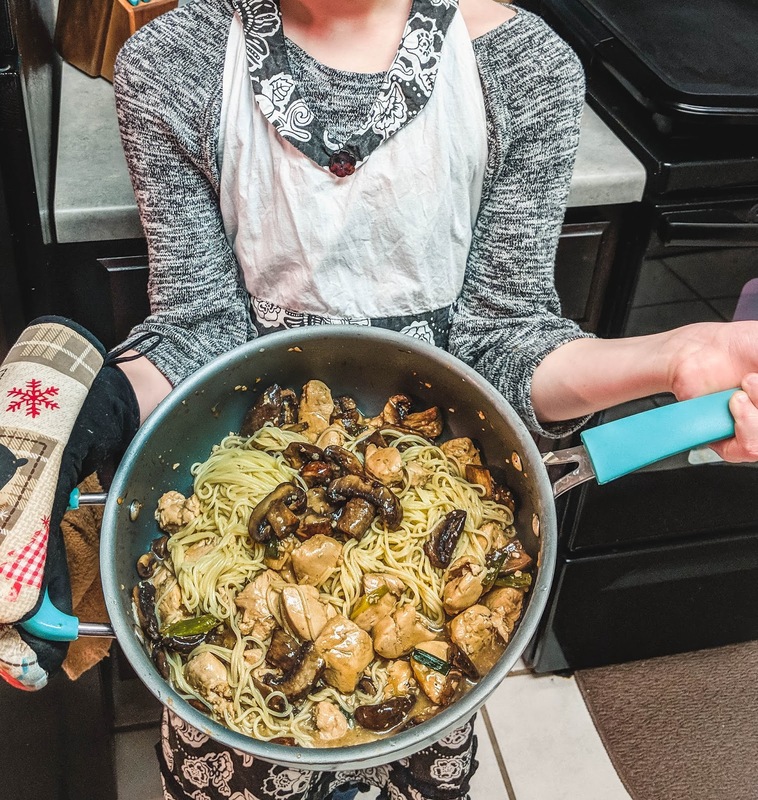 This is Haley's 'Garlic Chicken Stir-Fry' and it was delicious! I am so proud of her. 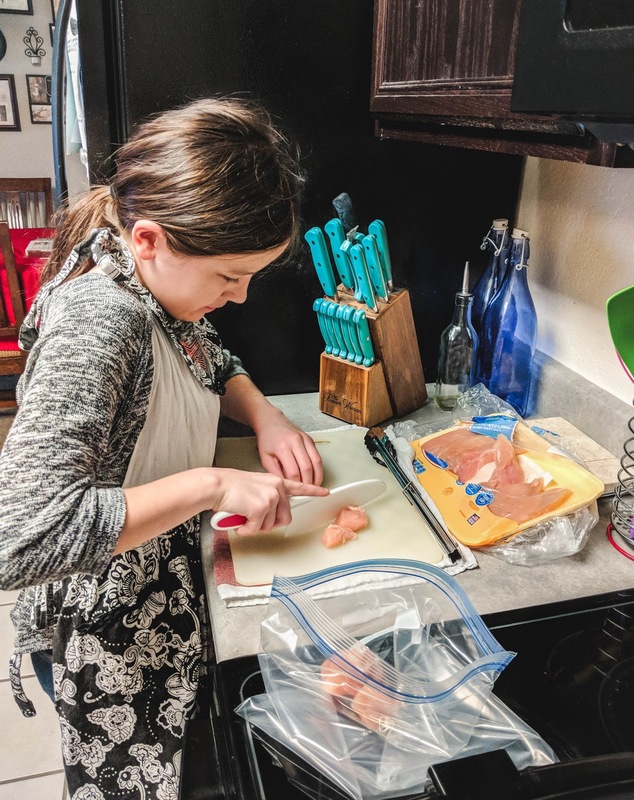 Although, because of the amount of times I made her wash her hands and disinfect everything, she said that she never wants to cook with poultry again. Oops.